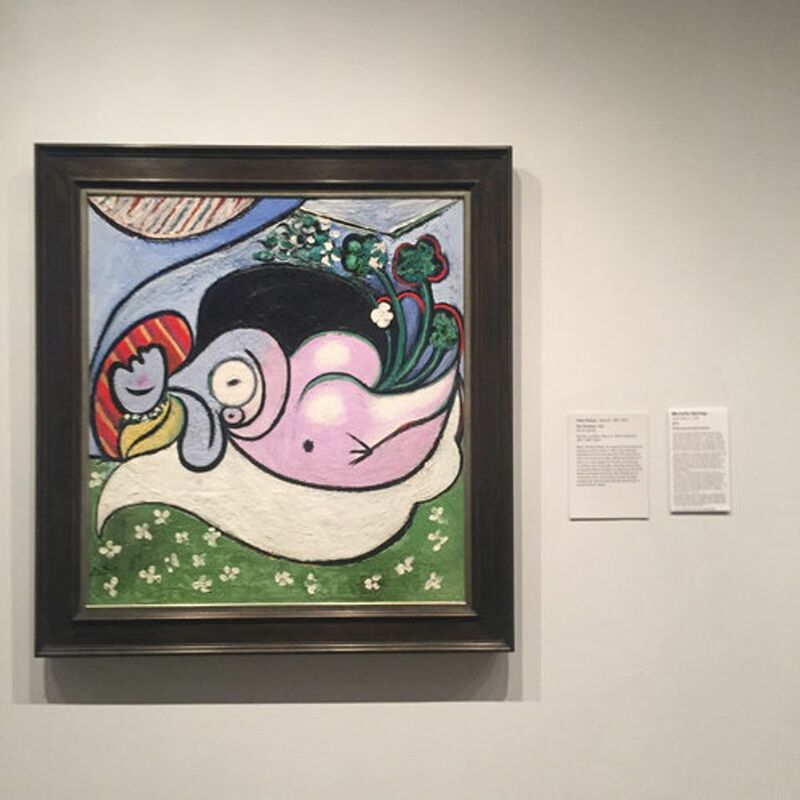 On Saturday night (3 November), Hartney stealthily appended her own labels next to two paintings in the Met galleries: Picasso’s The Dreamer from 1932 and Gauguin’s Two Tahitian Women from 1899. Her label for the Picasso, titled “Performance/Call to Action”, quoted at length from a stand-up act by the Australian comedian Hannah Gadsby vilifying the artist for the “mental illness of misogyny” and for initiating an affair with his model Marie-Thérèse Walter when she was only 17. Her similarly titled label for the Gauguin quoted from an essay by the writer Roxane Gay lamenting the leeway given to the artist, known for his sexual forays in Tahiti, and other famous men who built their “success on the backs of women”. “It’s time to say that there is no artistic work, no legacy so great that we choose to look the other way,” it reads. Her Saturday night stunt was also inspired by the #MeToo movement, she added. Hartney’s own art projects have focused on maternal health care and on “the resistance” to Donald Trump’s presidency. She says she once distributed pieces of paper with “misogynistic" quotes from Trump that she invited participants to tear up.